* Graphic or Visual Aids. 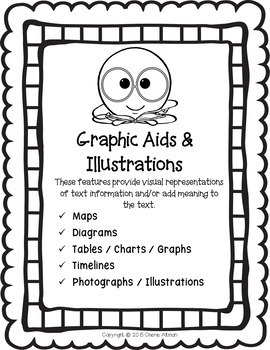 This resource can be used all year long as you teach and reteach text features. 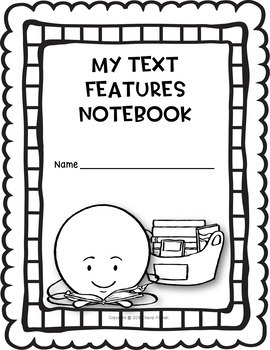 Students can use this notebook year-round as they find, cut and paste examples from copies of articles and magazines they read during the year. Next to each sample they collect, they can write a sentence about how that particular example helped them understand the text from which it came or how it helped them locate specific information. 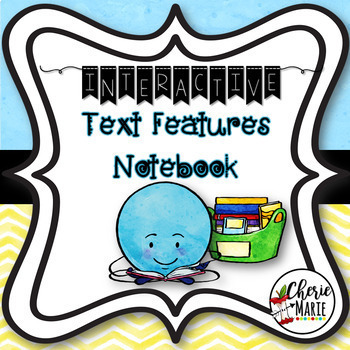 Two versions made available- In one version, the descriptions of text features and how they help the reader are included. The second version allows students to write this information with your guidance. 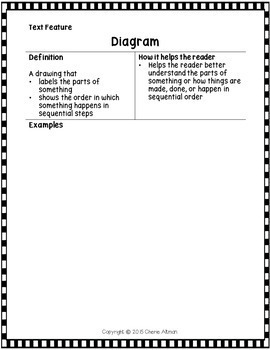 Please visit my store for other instructional materials that intentionally teach to common core and make planning any literature read aloud so much easier!